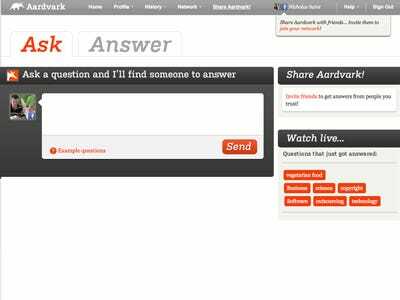 Last month, Google announced the $50 million acquisition of Aardvark, a question answering startup. 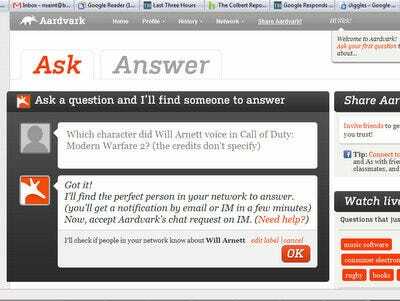 Basically, you ask Vark questions from the web, an IM client, or your phone, and it gets someone to answer it within a matter of minutes. The strange thing is that it actually works pretty well. 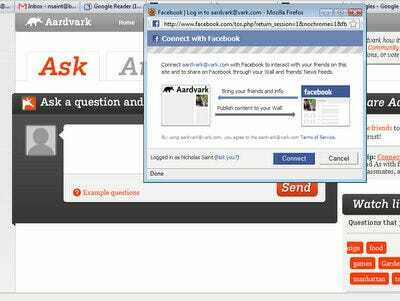 It’s not likely to be a huge part of the way you find things out on the Internet, but there are situations in which Vark is a more convenient and useful option than search engines or other online resources. After playing with it for a while, we’re keeping it in our toolkit. 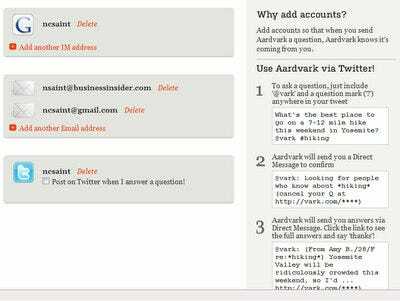 When you first sign up, Vark will ask you to build up a network by importing information from email and social networks. Facebook Connect is the big one. 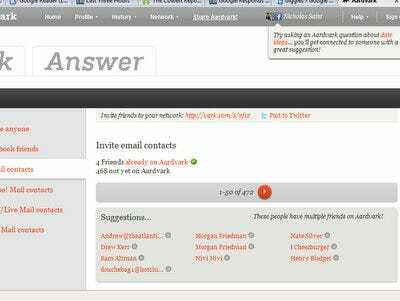 Aardvark actually works perfectly well even if you don't have a network -- it can submit your questions to users you don't know. At this point, the network aspect is mostly there to bring in users. You can also import your Google contacts. 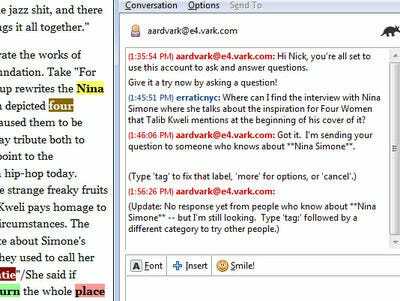 Vark will try to get you to invite your friends, naturally. 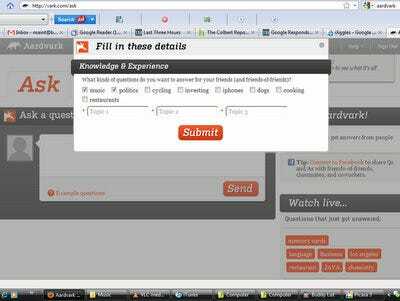 Vark will ask you to provide a few topics that you're interested in. 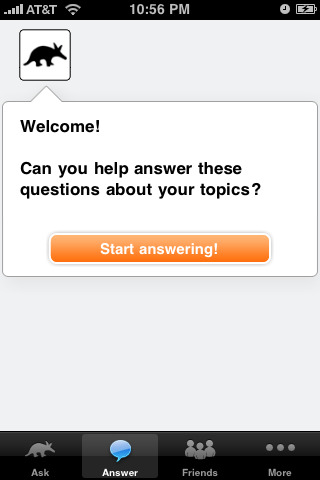 When other users submit questions on these topics, you'll be on the list of people to ask. This is the home screen you'll see first when you're logged in at Vark.com. 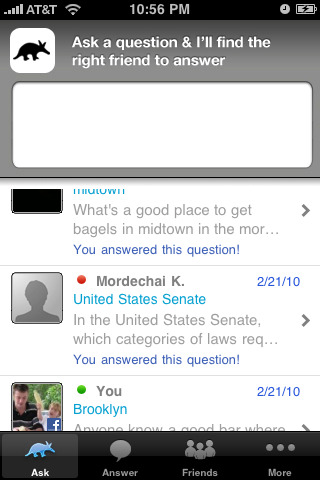 You can just type a question in that dialogue box, or click 'Answer' to scan open questions you might know about. 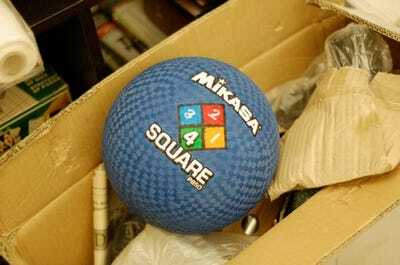 We asked it a silly, obscure question that we hadn't been able to find an answer to on Google. Aardvark said it could deliver! 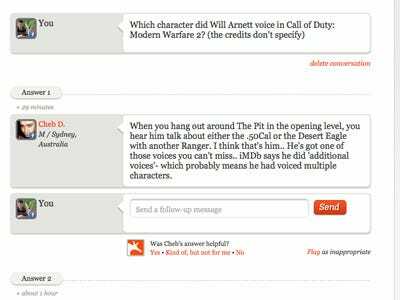 If you're feeling generous, flip through open questions, and give an answer. It's this easy. Once you've signed up, you can use Vark without ever going to the website again. Just connect to your IM client. 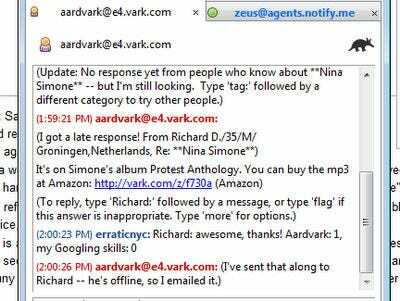 You can also communicate with Vark via Twitter or email, but we're not sure why you'd want to. 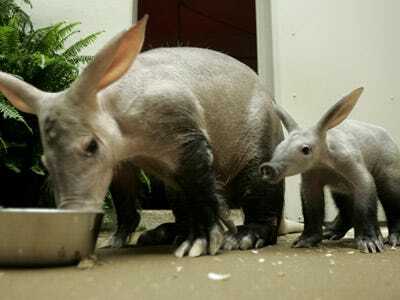 Aardvark will IM you, and you can add it as a buddy. 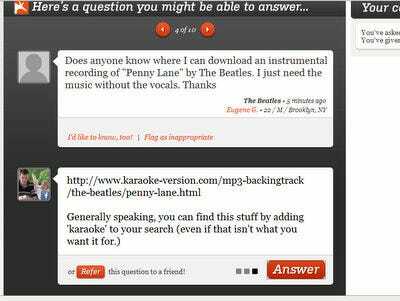 From now on, just start a chat as you would with a real person, and ask a question. Vark will IM you with updates on the search for an answer. When someone answers, Vark IMs you to give you their response. You can thank them, or ask for more responses if you aren't satisfied. 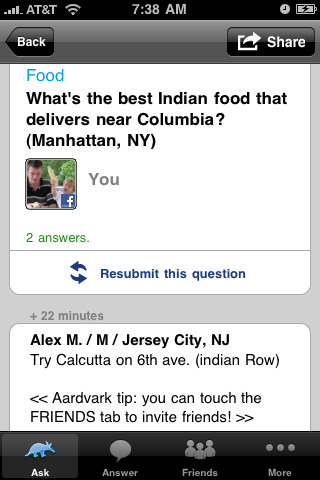 Even more useful: you can use Vark from your phone with an app. Once again, you can ask a question right from the home screen. 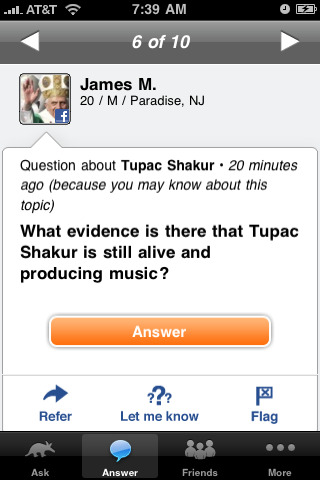 BREAKING: Tupac Shakur is still dead. Thanks to Aardvark, this person now knows that.